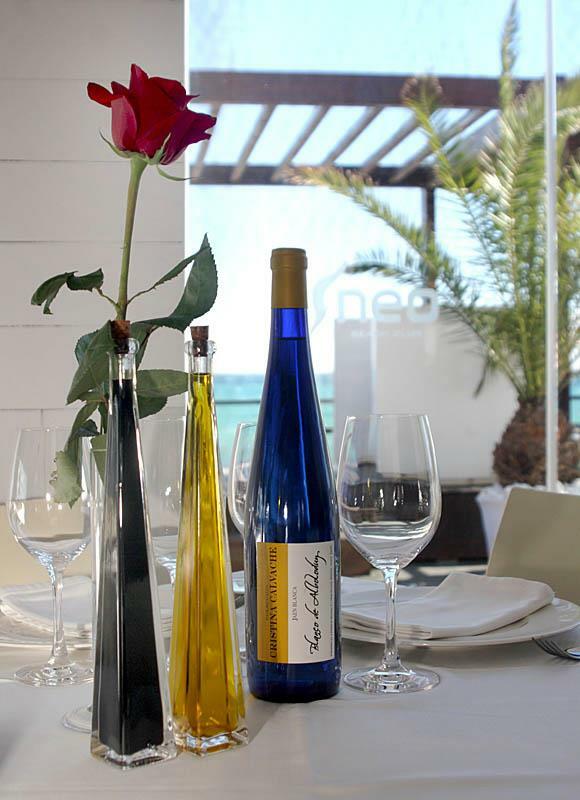 NEO Restaurant - Mojacar (Almeria, Spain) - Review! June, July, August & September open every day! I’ve watched this beachside establishment from first build when it stood empty for a while and then eventually became Mooney’s. 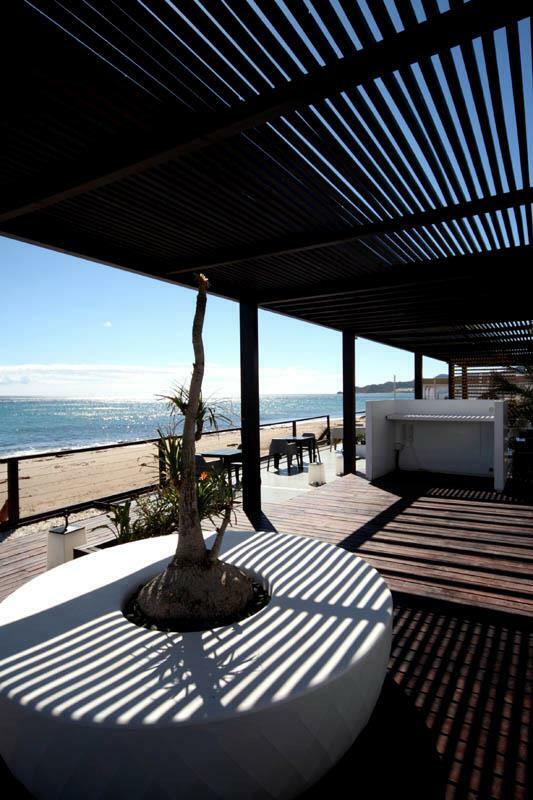 It heralded a new type of hip, chic beachside restaurant/bar that the town of Mojacar richly needs. Sadly Mooney’s didn’t last. It came as no surprise to me therefore to hear that the eatery, which has, arguably, the most enviable position on the Playa, had been taken over by a very competent and long experienced team, previously from of the most successful local business area. 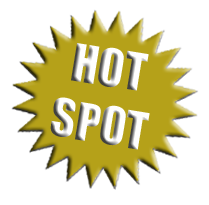 With a great reputation and a strong following of clients, coupled with what is now an outstanding building and location, it is a great combination. As one would expect of Maria and her team, everything has been considered right down to the finest detail. An inviting terrace upon which to either drink or eat or both, almost within touching distance of the sea, and with a modern, elegant, and tasteful interior décor this should become the hottest spot in the surrounding area, for both expats and the Spanish. When it comes to cuisine, the team know a thing or two about food. (No it isn’t ‘fine dining’, so don’t think it is too expensive because the restaurant looks so good). This is good Mediterranean cuisine ably prepared by a talented chef and her enthusiastic team. They have a very good following of diners and the restaurant should do well. There are some interesting dishes from which to choose. Entrees include Croquettes de Queso (Cheese Croquettes), Croquettes de Gamba (Prawn Croquettes), or Partridge pate served on a bed of Arbequina olive oil. 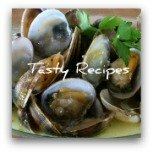 There is a selection of soups, salads and also pastas, but I skip straight to the fish and the meats…Cod in Pil Pil sauce, or my favourite the Pork Fillet! There is also Marinated Lamb Shank, Entrecote steak, cooked to perfection, and the most fabulous pastry basket of tempura vegetables and fish….and of course, you can eat the basket! Desserts include Cheesecake and Tiramisu, rice pudding cake, chocolate cake and profiteroles. As for the rest of the menu, I’m not going to spoilt it – just get yourself down to Restaurante NEO to find out for yourself! The food is excellent quality and the price reflects the setting and the high standards offered. These prices are not untypical of many lesser quality restaurants, so you are getting good value here. Verdict: This is a class restaurant and bar establishment and given Maria’s already good name and following it should do well…highly recommended. 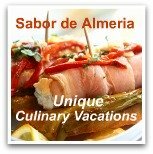 Find more nearby Restaurants in Mojacar or check our Almeria Restaurant Directory. 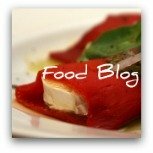 Jump into Steve's Food Blog which is all about great Spanish Food and Gastronomy articles. Join in and have YOUR Say! Meet Steve Homer personally! Take action and give yourself a treat.